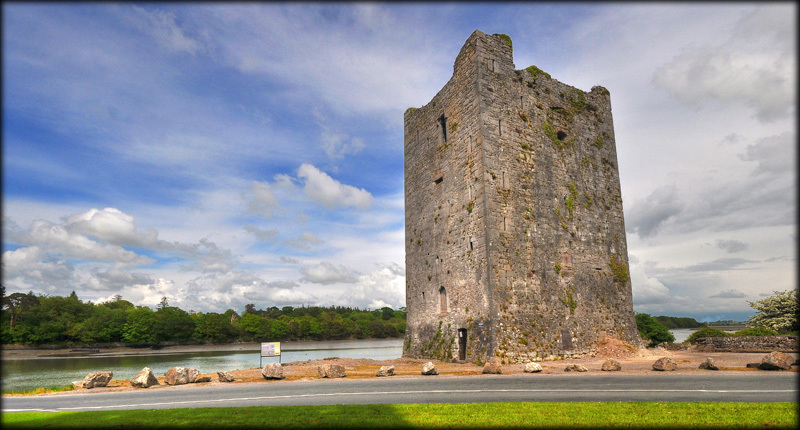 Belvelly Castle was built in the 14th century by the Anglo-Norman Hodnett Family from Shropshire in England. It commanded the bridge that connected Fota Island to Great Island. The family became powerful and had possessions in Timoleague, Courtmacsherry and Cobh. 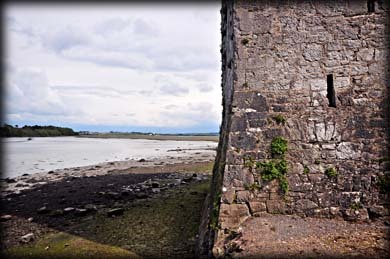 This drew the attention of the nearby De Barry family, see Barryscourt Castle, who together with the Roches of Fermoy defeated the Hodnetts in battle and took the castle. In 1581 the castle was occupied by Sir Walter Raleigh a favourite of Queen Elizabeth 1st. By 1636 the castle was back in the possession of the Barry family. During the confederate war in 1647 Roger Boyle garrisoned his troops here. 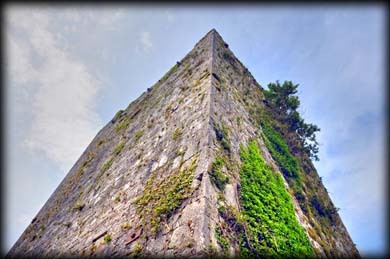 Situated: From Cork City head east on the N25. Take exit 3 for Cobh. 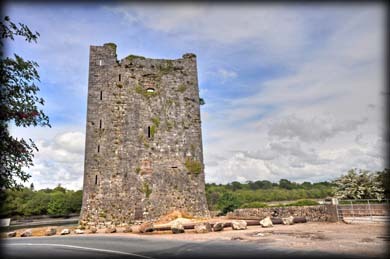 The Castle is on the east side of the L2989 as you cross Belvelly Bridge. Discovery Map 81: W 7918 7069. Last visit May 2014.